We service hundreds of installations nationwide. Our customers rate our support as one of the best in the industry. 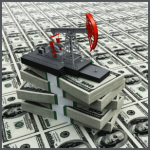 We offer competitive pricing and you only buy the oil & gas accounting modules you need. So, what are you waiting for? Contact us and schedule a live SOGAS demonstration now! Fill out the form below and a MetroSoft Sales Professional will reply within 24 business hours.